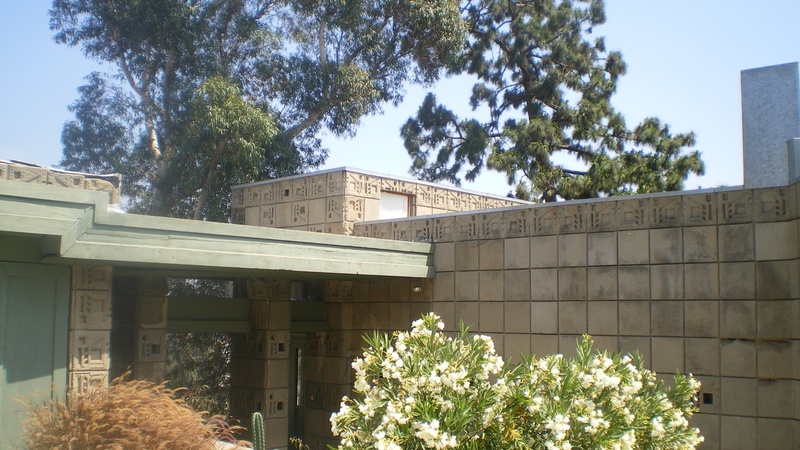 The appearance at auction of a tile from Frank Lloyd Wright’s Freeman House in the Hollywood Hills has exposed the theft of some valuable chairs and lamps by Rudolph Schindler and by Wright. Reporters Harriet Ryan and Matt Hamilton of the LA Times broke the story, after the L.A. Times received an anonymous email last summer that revealed that some pieces of furniture had been stolen from USC and never reported to the police. When the reporters approached USC about the tip in January, the university investigated and found that, yes, two of Wright’s floor lamps and a cushioned chair designed by Schindler were stolen from a warehouse in 2012. The furnishings had come from the Freeman House, the Frank Lloyd Wright-designed house in the Hollywood Hills that was bequeathed to the USC School of Architecture by Harriet and Samuel Freeman. The revelation has its roots in a Chicago auction in the summer of 2018. A distinctive cement tile from the house sold for $5,000, prompting concern among Freeman House experts at how the tile wound up for sale. The auction house told the LA Times the seller claimed it had fallen off the garage, maybe after the 1994 Northridge earthquake. “It's sad to think that even in the decade before these things were stolen, they were just kind of sitting in the dark where no one in Los Angeles, nobody who loves architecture or cares about the history of our city could see them,” Ryan said. The Los Angeles Police Department’s Art Theft Detail has initiated an investigation, which is complicated by the fact that many of the faculty and staff that were at the USC School of Architecture at the time the theft took place have gone.